Situated in the heart of Lancashire, probably under a collection of dark gray rain clouds, is Blackburn, a small working-class town that was, 200 years ago, considered to be the weaving capital of the world. Boasting a large number of mills, booming canal systems and railway networks, and rows upon rows of terraced worker houses, Blackburn really was the heart of the North; at one time supplying 85% of the world with its cotton goods. But following the decline in the cotton industry, Blackburn’s identity changed, and today the streets that once bustled with people now lay abandoned, lined with takeaways and empty shops. And as is the case for many other British towns, local businesses that have been around for years are struggling to compete with the newly opened shopping centre. 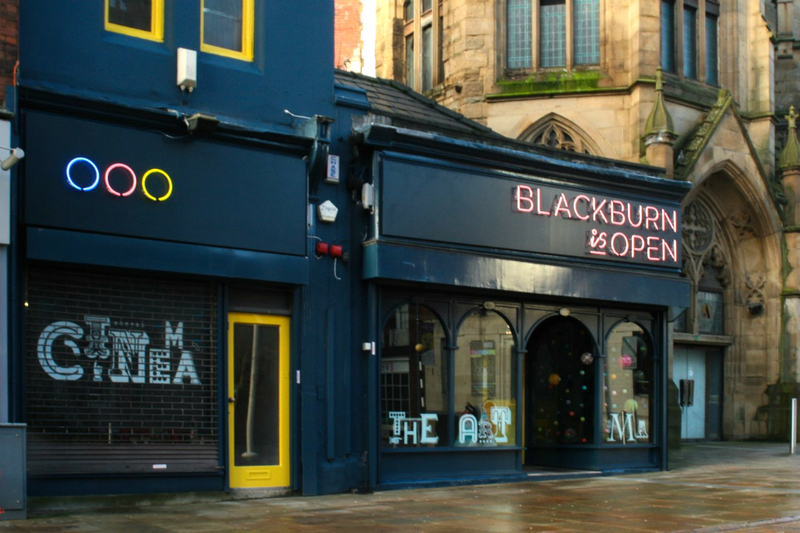 This combined with the closing of its last standing nightclub on New Years Eve — which once drew crowds from as far as Liverpool, Leeds and Manchester for a night out – means Blackburn has now been left with a very limited offer indeed. With a heritage of industry and ‘making” at its core, Blackburnians have kept true to their roots; a whopping 25% of Blackburn’s employment now comes from manufacturing, compared to the national average of 12%. Almost 1000 people work within textiles, and there are a total of 1700 jobs in the creative sector; including the sectors of architecture, publishing and media, software and music. Exciting things are beginning to happen up and down the streets: artists and makers are worming their way out of the woodwork and taking root in empty shops, disused churches, high-street spaces, libraries, basements, back rooms, and museums. 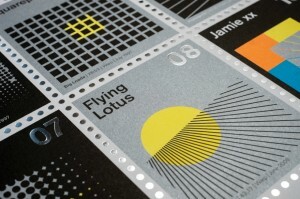 Collaborations are taking place, ideas are growing, change is happening, and the momentum just keeps on building. 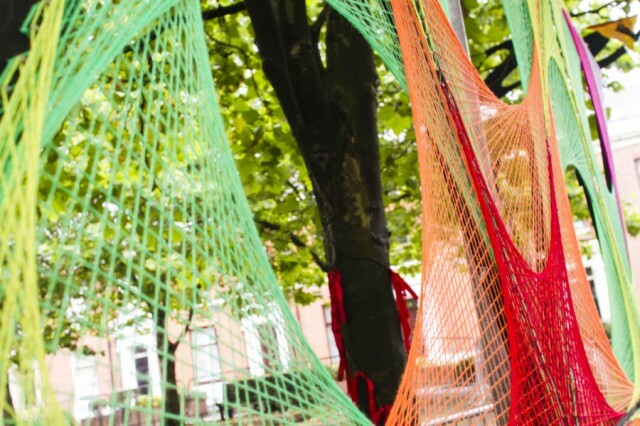 It’s through initiatives such as Blackburn is Open, an Arts Council-supported project that aims to bring creativity and artistry back to the heart of the town, that these things are happening. 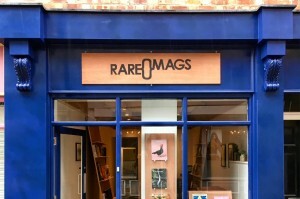 Working tirelessly since 2013 to “rediscover its town centre mojo”, they have supported local artists and makers, replaced abandoned shop fronts with creative businesses, and injected some life into Blackburn’s dismal evening offer. Blackburn is Open are currently supporting local artist Derren Lee Poole and a collection of other photographers through setting up a darkroom right in the heart of the town. With a very strong “give it a go” attitude, they have great ideas, and are hoping to open their doors later on this month. Plans include darkroom management workshops, a film developing service, basic camera repairs, camera tutorials (including 35mm cameras and medium format); the team also hopes to set up a portrait studio. Poole is completely passionate about photography and is thrilled with the chance to make. “Being given this opportunity is wonderfully exciting”, says Poole. “The support and generosity of Blackburn Is Open is now ensuring a craft destined for the history books can be enjoyed and hopefully cherished for new and future generations of individuals who love photography like we do”. The venture will be called Obscura Darkroom and will be open in early from Saturday 3 October on King William St.
Blackburn is Open are now working on launching Britain’s first Festival of Making in 2016, with a ‘taster’ event that took place last week. It was a culmination of all things made: from food to music, art to architecture, and digital installations to DIY. It also saw the construction of its very own festival pavilion, located directly outside Blackburn Museum and Art Gallery. 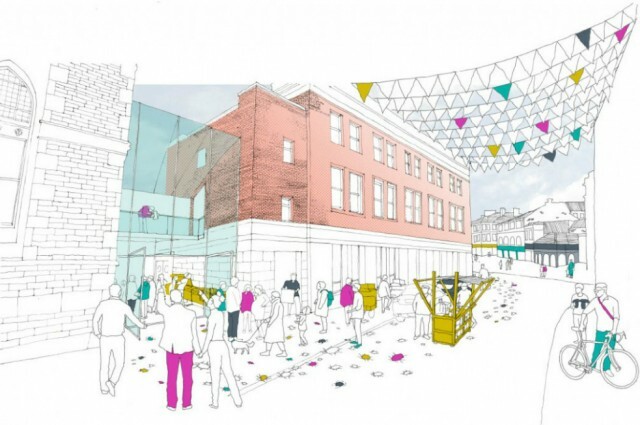 Claire Tymon, director of Blackburn is Open, has big plans for the 2016 Festival of Making and is incredibly excited about the future of the town. “I am passionate and dedicated to working in Blackburn and promoting the town as the home to makers, inventors, creators and enterprise”, she says. “Over the past three years, I have met so many creative and talented people who are equally as passionate about the town and its potential. Blackburn has seen many changes in terms of its nightlife, its retail offer and the people who use it. 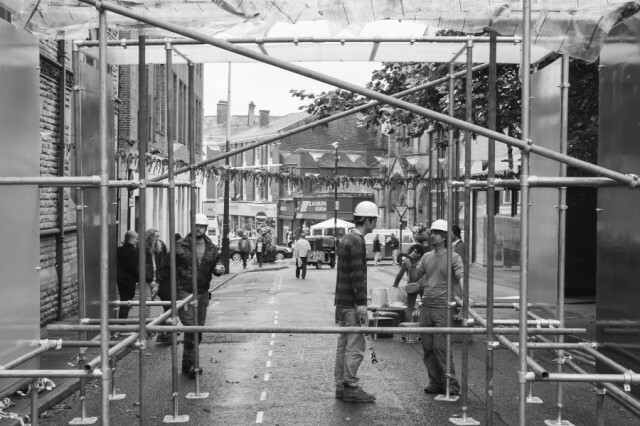 “The Festival of Making will show how a town centre can become a venue for events, exhibitions, demonstrations, commissioning and celebration. One of the happenings at the taster event included a large art installation built by Gypsy Carrot, a trio of artist makers that are committed to creating immersive experiences and bringing people together. 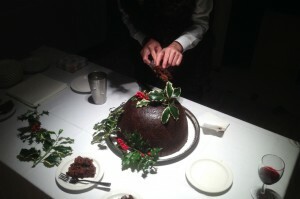 They’re responsible for holding a number of themed, indoor festivals in Blackburn’s old church-turned-informal-venue-space, the Bureau, and for bringing over 300 people out to party at each event. “It feels strange being one of the only creative events companies in Blackburn, especially as there is so much talent hidden away”, says Gypsy Carrot co-founder Sam Fittock. “When we came back home after university, we saw so much potential, not only in the creative people but also in buildings and spaces of the town itself. We knew we wanted to start community festivals and Blackburn was the perfect place to give our events meaning and purpose, as we are keen to give something back to our hometown. In the past year there has been so many changes and improvements already. I really see a bright future for the town and its people. “Being involved with the Festival of Making has granted us with an amazing opportunity at this point in our career! We have so many huge, crazy ideas flying around and finally we can think out of the box and experiment with our ideas on a big scale. The Festival of Making taster day also included a whole host of practical workshops, a live crowd-funding event and a number of individually designed busking stations located around the town centre that were open to musicians. 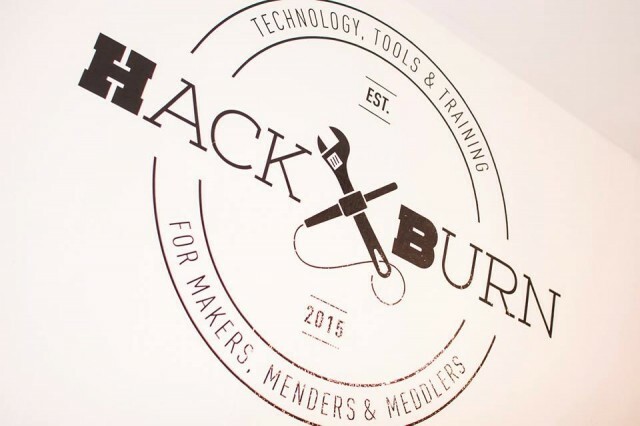 It also featured an exciting collaboration between Blackburn’s very own Hack//Burn, a group of tinkerers, menders and fixers, and artist Hwa Jung Young, an award-winning multi-disciplinary designer who has been involved with spaces, makers and artists in the North for over five years. This drive towards making goes hand in hand with Blackburn’s motto, Arte et Labore, translated commonly as ‘By Skill and Hard Work’. Sitting proudly on the crest of the town hall and sewn onto the chests of the Blackburn Rovers football team, it is a visible mantra that goes hand in hand with the strong manufacturing heritage of the town, and the bright future that it is making for itself. What makes Blackburn is Open such a vital part of contemporary Lancashire is their vision to see it not just as a small working-class place caught in a downward spiral, but as a potential ‘Making Capital’ for the UK, made possible through the skills and breadth of creativity that the town has to offer, and the passion of the people who call it home.